Air Purge Spindle modifications cuts downtime by 800%. 30,000 RPM spindle for spool winding of filament material. 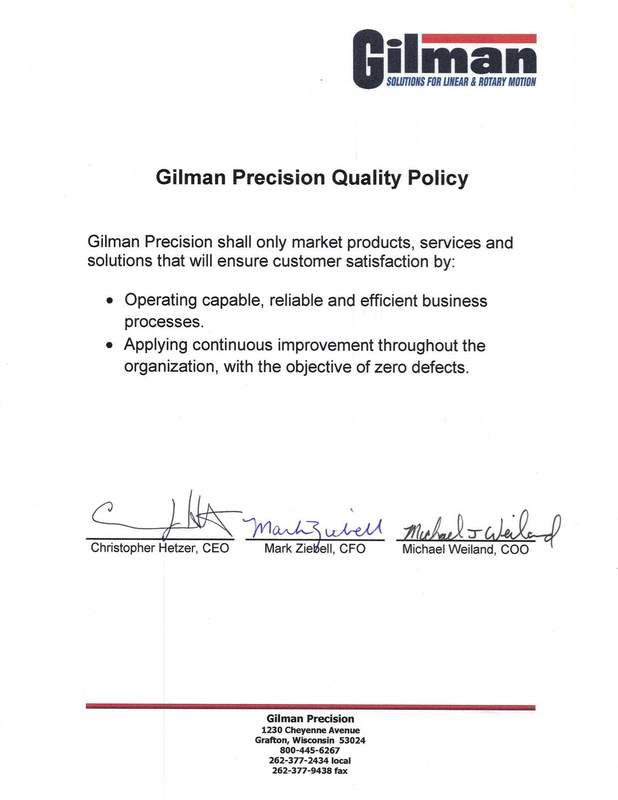 Gilman Precision was contacted by a high volume, U.S.-based manufacturer experiencing a critical, premature, bearing-failure complication with their European-manufactured spindles. While their original design had called for 24-month spindle life, actual spindle life was averaging a costly and unacceptable three months. Gilman engineers were asked to remedy the problem. 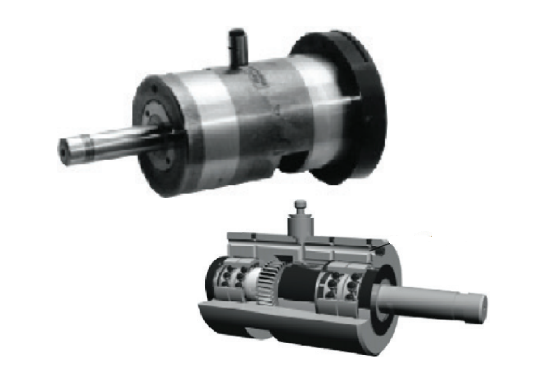 To determine the cause of shortened spindle life, a team of Gilman engineers interviewed the manufacturer and conducted an exhaustive investigation of parts, processes and environmental conditions. The “customer manufacturer” investigation team concluded the following: during the 30,000 RPM filament winding operation, fine dust-like particles of filament material were becoming airborne. Upon entering and contaminating the bearing chamber, these particles were creating friction and destroying the bearings. 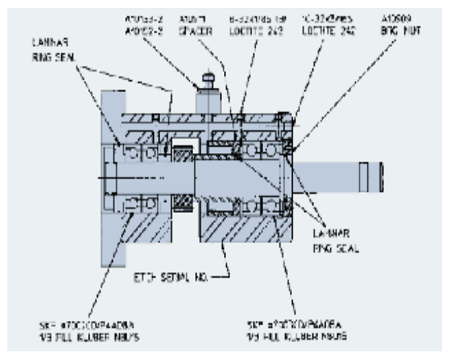 After isolating the cause, Gilman engineers offered a creative solution to increase spindle life: they modified the housing by drilling passageways to allow for low-pressure, clean, dry air to be pumped into the bearing case, pressurizing the area. 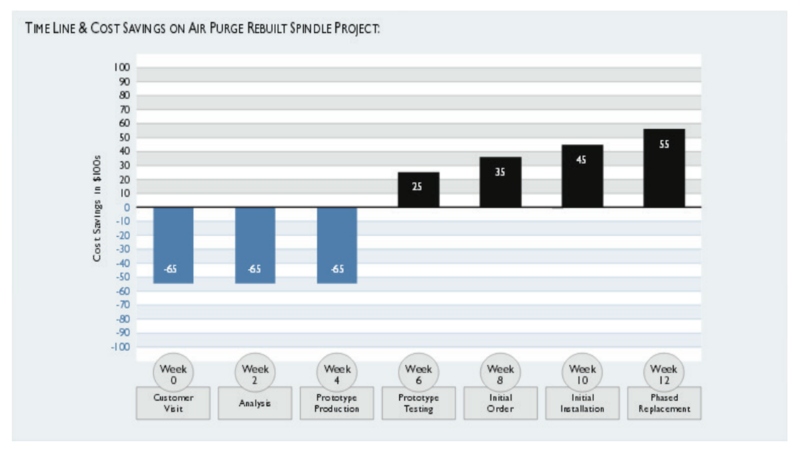 The pressurized airflow forced the contaminants out of the bearing case, achieving a substantial increase in spindle life consistent with the customer’s original 24-month specification. With the contamination problem solved, the spindle was repaired. Finally, Gilman Spindle Service proposed a phased replacement program to ensure that the hundreds of spindles involved in the filament winding process were modified on a systematic basis, sparing the costly inconvenience of shutting down production.